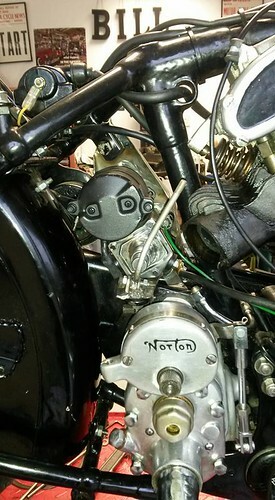 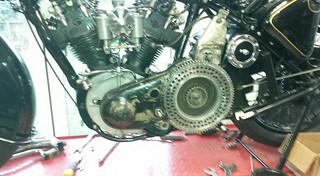 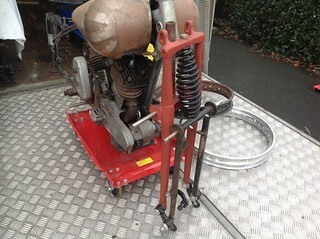 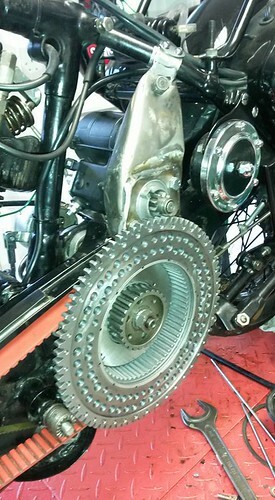 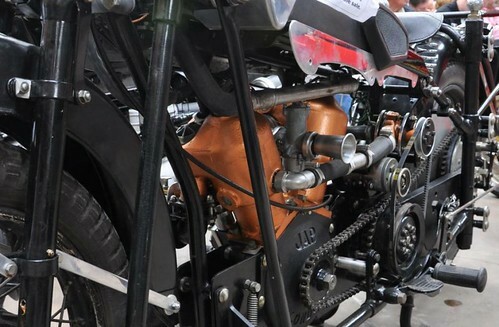 Norton Superior: Bill Higginson's Matchless MX2-engined bike is now fitted with a long kickstart and new timing cover....... and is currently receiving an electric boot.... these are just temporary brackets while design is finalised. 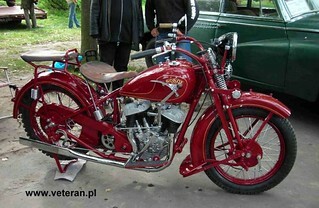 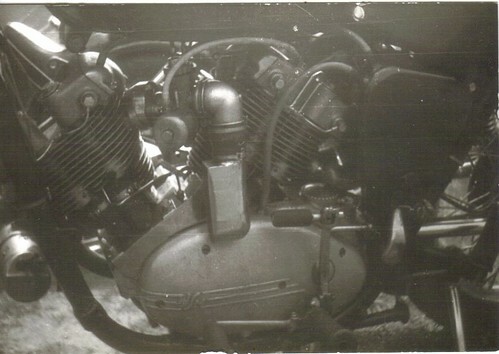 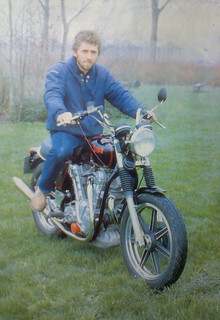 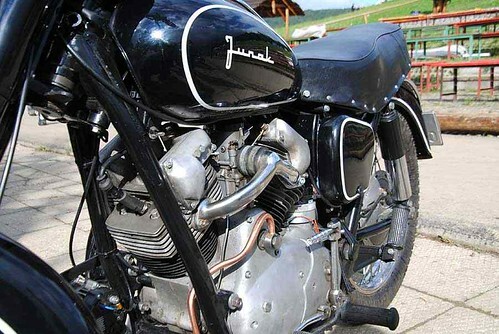 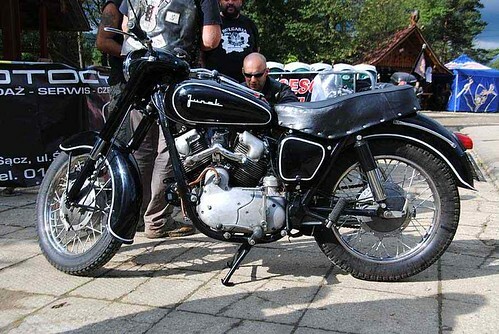 Here are some photos taken at a Polish Motorcycle rally in 1985: This version of the Junak v-twin has the cylinders at a bigger angle, and they seem to be orientated the same as in the single, except for the rear exhaust and inlet being reversed. 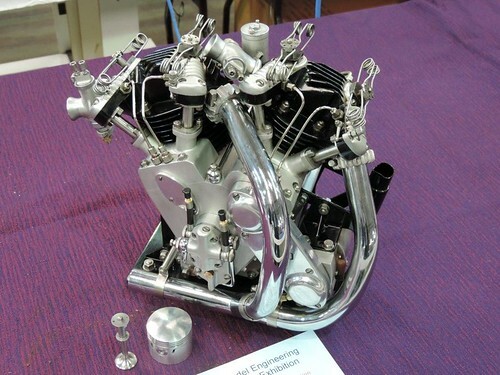 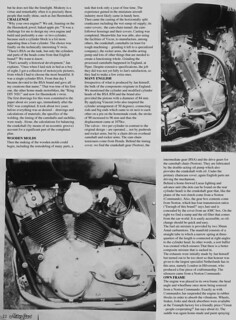 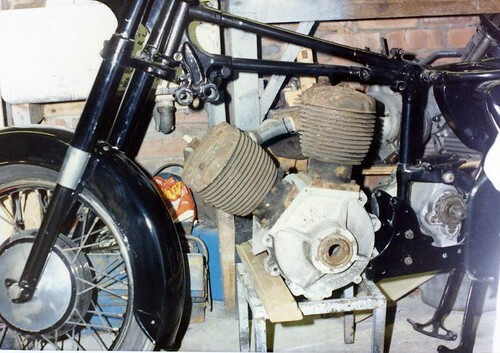 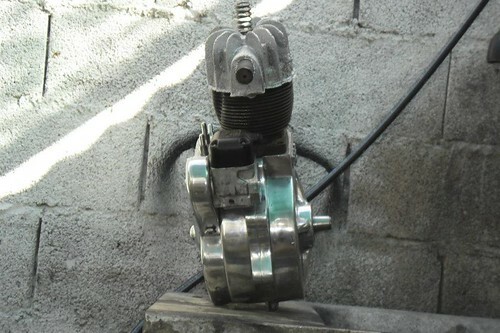 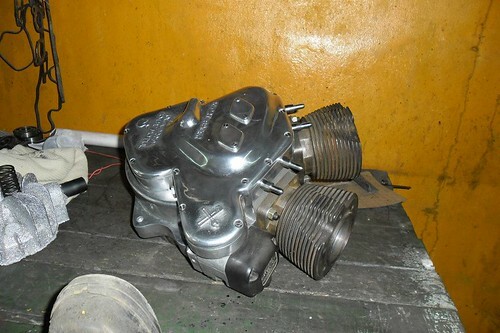 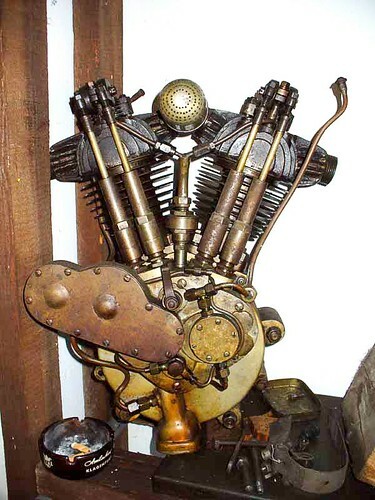 You can see in these pictures that this version has the cylinders and heads arranged differently... the front top end has been swivelled 90 degrees anti-clockwise and the rear top end has been swivelled 90 degrees clockwise (on the standard single, above, you can see that the pushrods, unusually are on the left side of the engine). 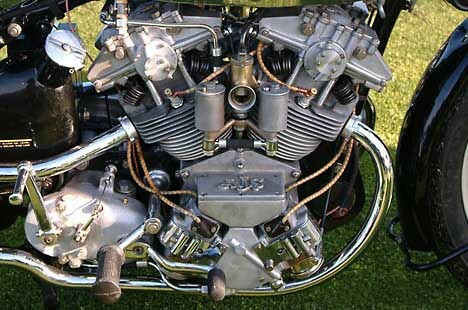 The camshaft runs between the cylinders in the magneto-like structure and the pushrods of both cylinders run off it. 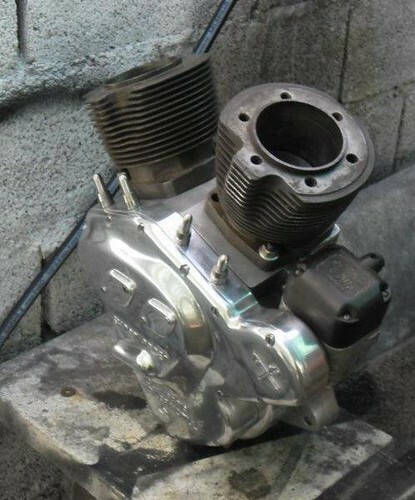 The front exhuast and inlet are now reversed. 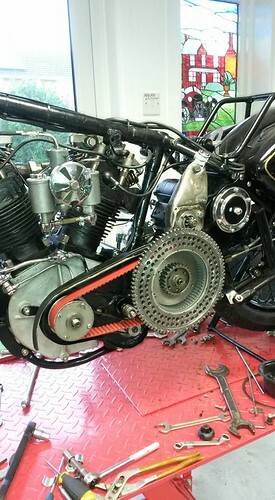 ...and here, apparently, is a third version of the machine - it has the camshaft drive coming off the engine sprocket. 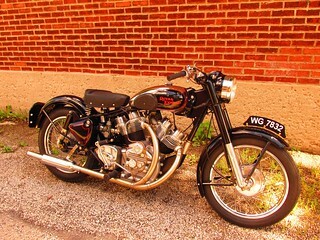 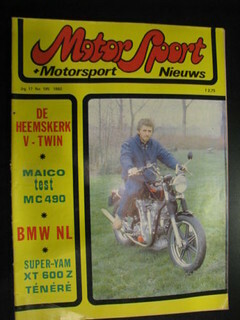 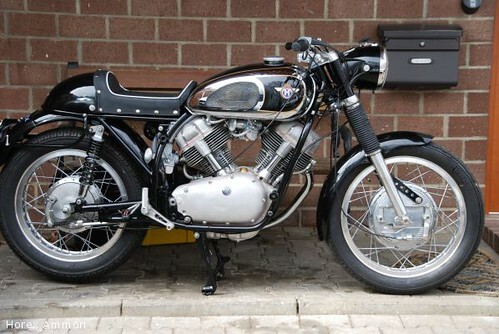 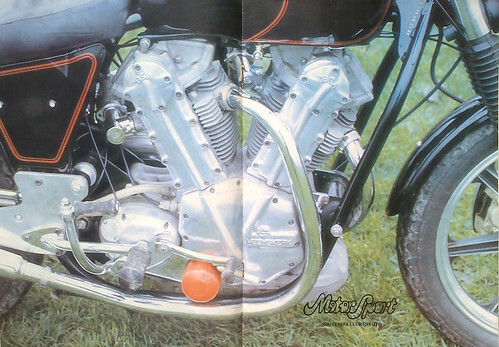 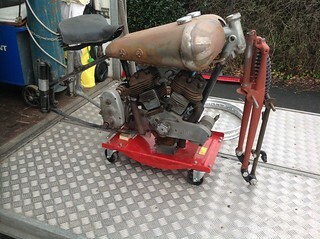 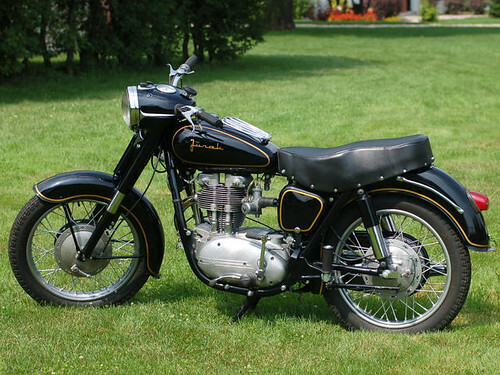 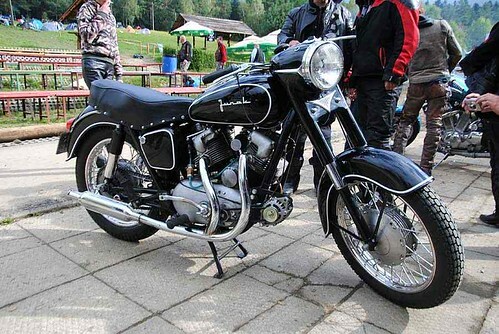 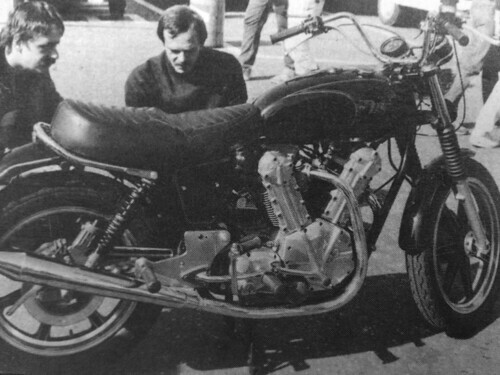 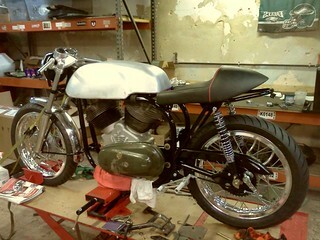 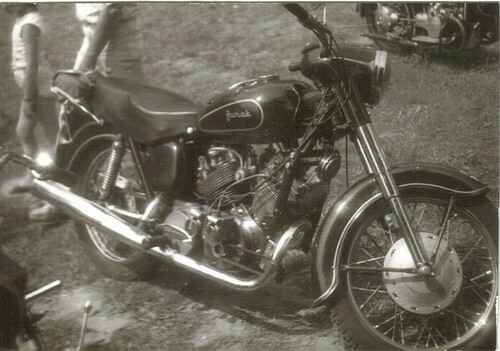 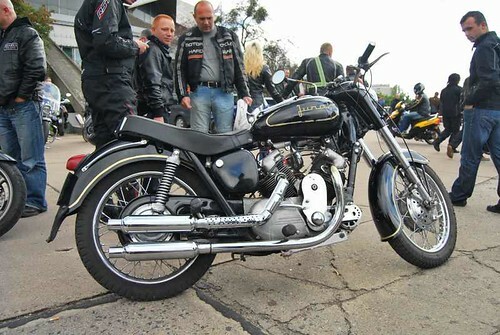 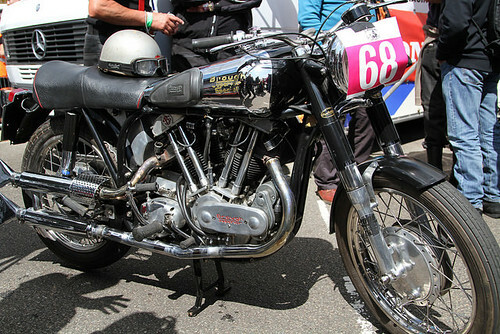 Here is another Matchless MX2-engined special. 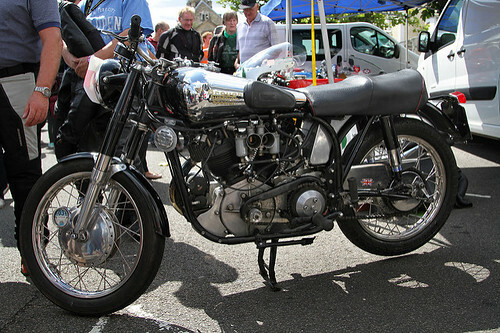 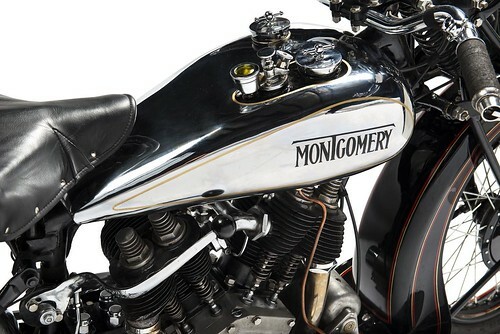 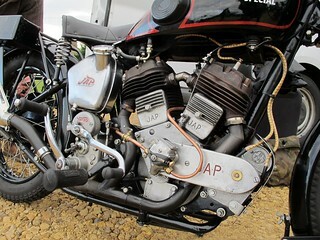 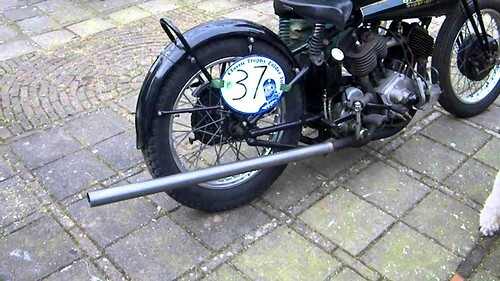 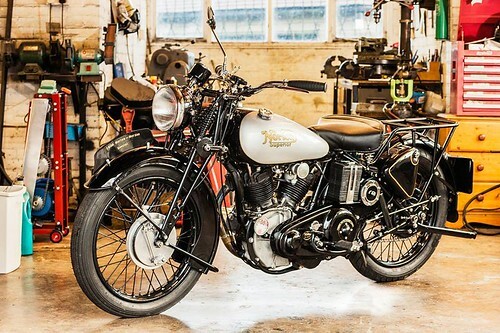 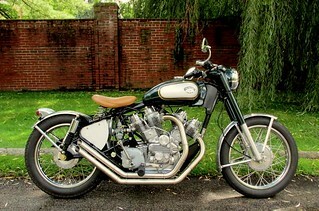 Built in the around 1960, the builder, John, put the v-twin engine into the frame of a 1938 plunger Norton frame. 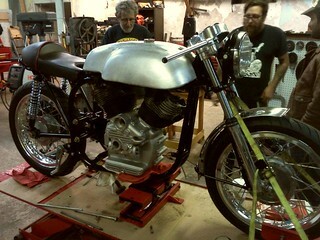 Aniket Vardhan has recently dispatched his fourt and fifth 998 Musket V-twins to their newe owners. 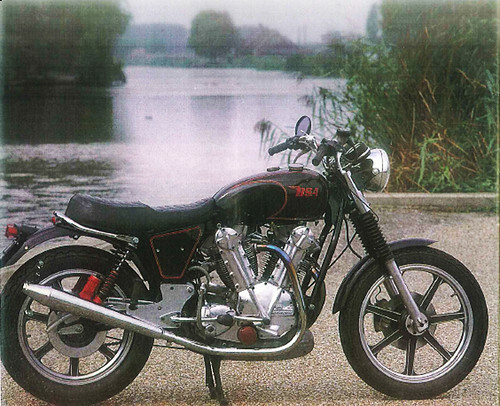 Here are all five... (number two is actually an 1120cc version). 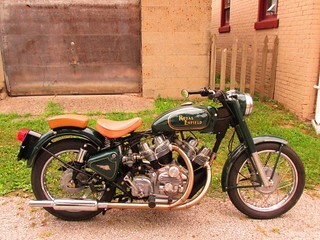 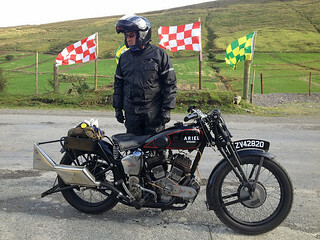 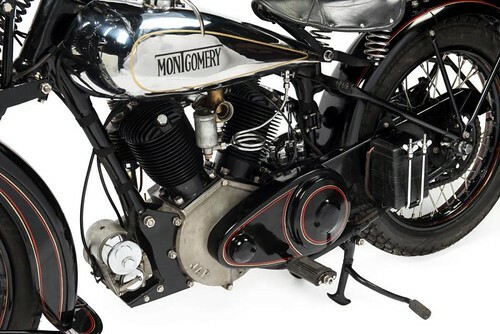 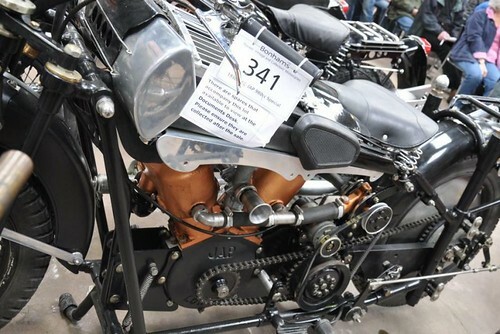 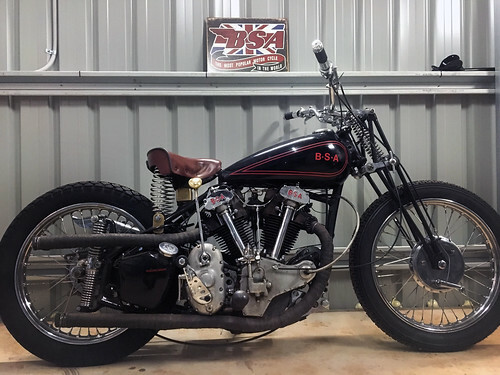 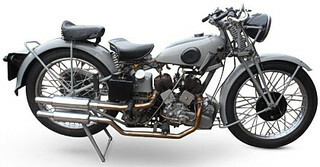 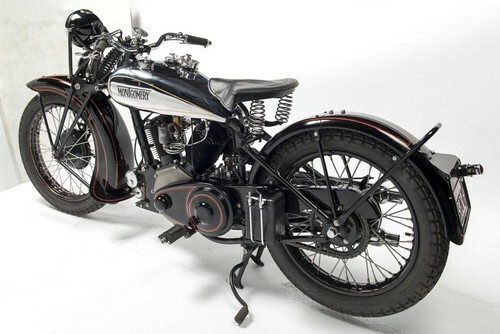 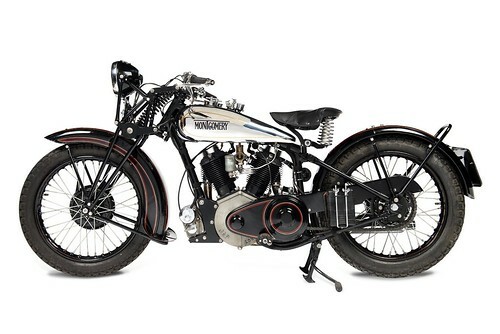 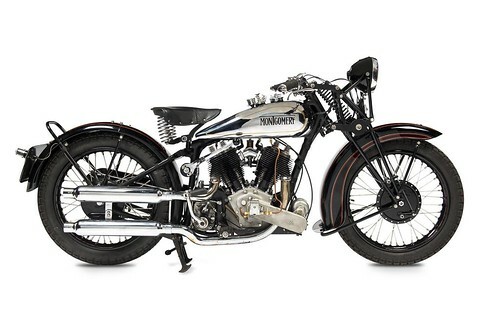 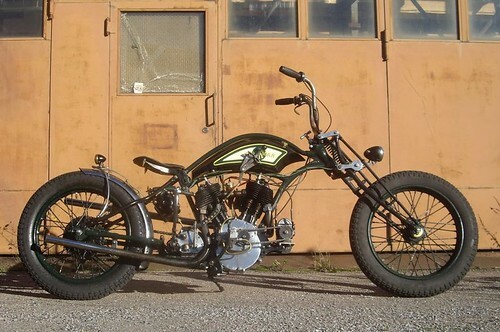 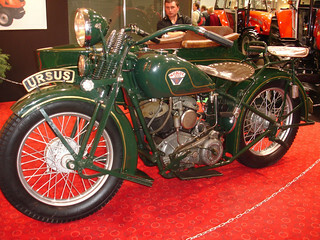 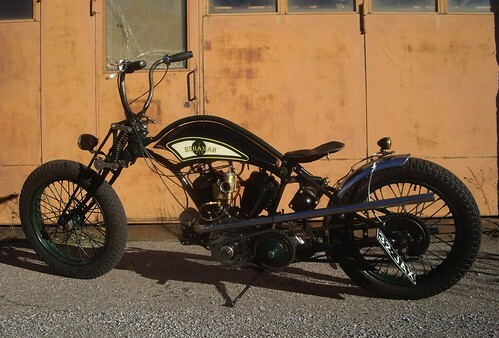 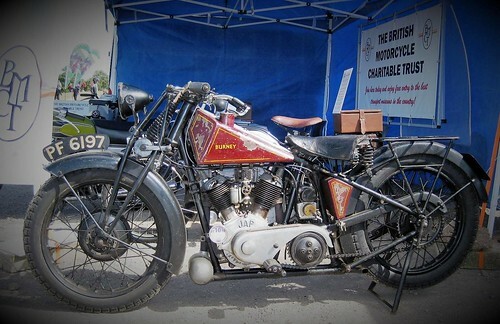 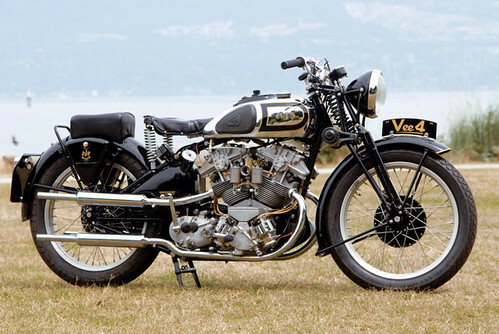 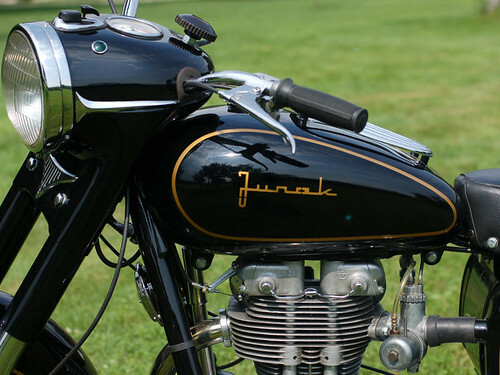 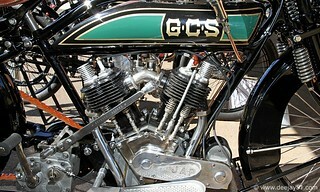 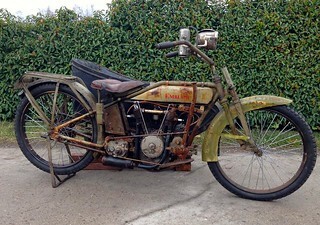 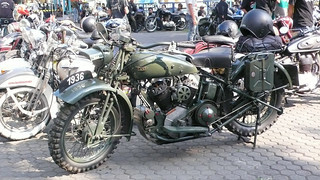 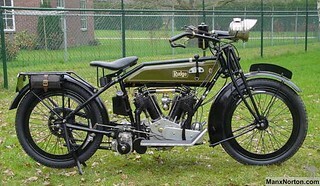 The Bonhams Spring Sale at Las Vegas in April 2011and the Stafford Classic Bike Show Auction in October 2011 included this 1938 OEC special with a water-cooled 980cc JAPv-twin engine. 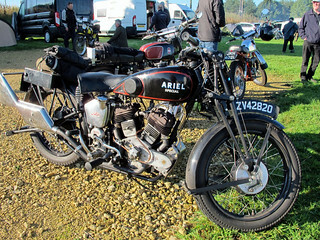 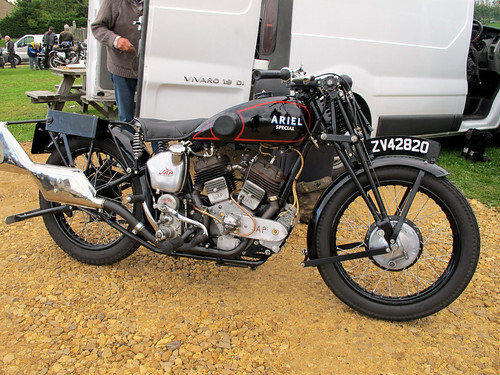 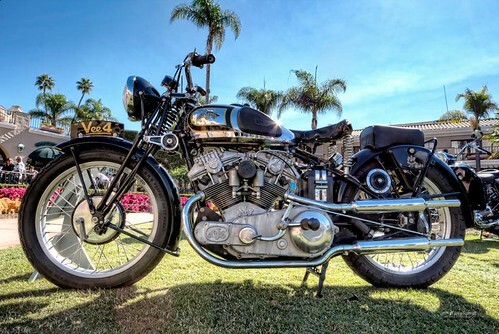 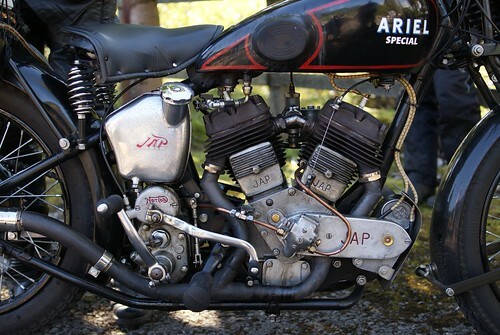 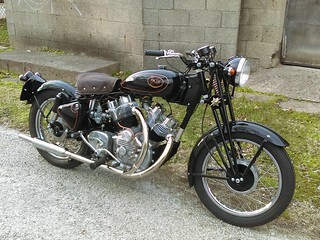 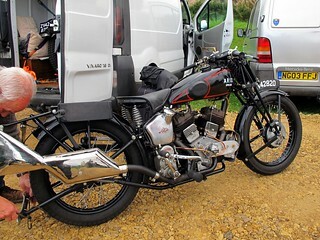 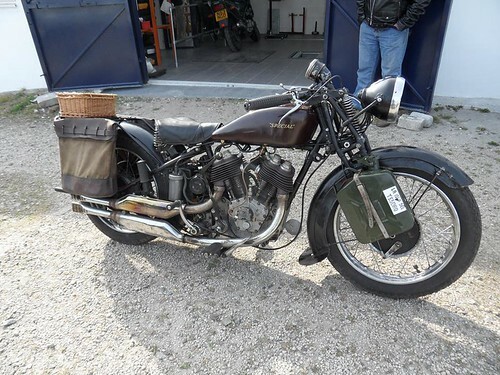 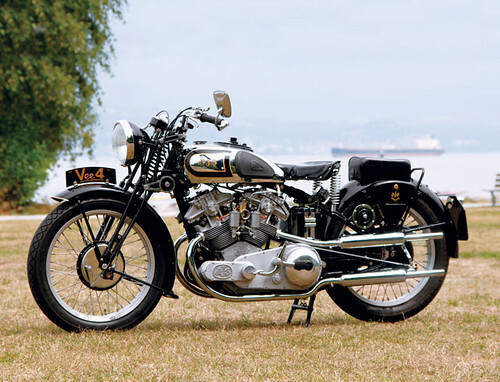 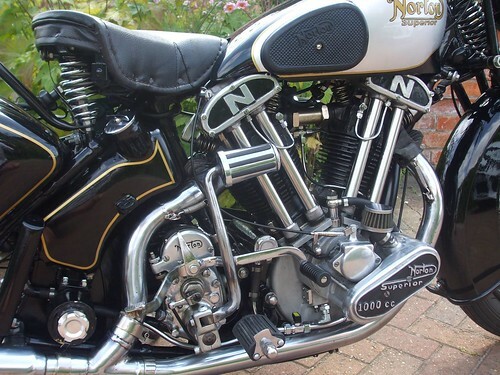 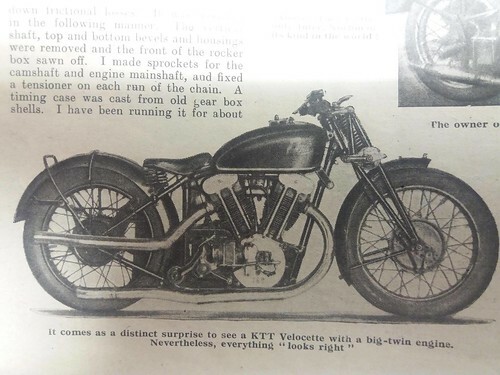 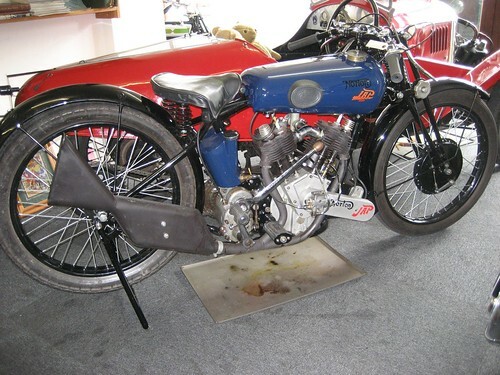 A Norton-Jap recently sold at Verralls for 12K: According to Vintagent: " A 1930 Norton chassis with '26 JAP 1000cc v-twin side-valve engine, single camshaft model. 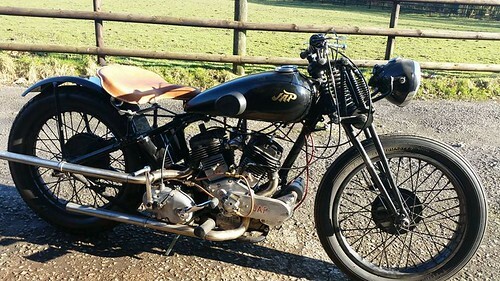 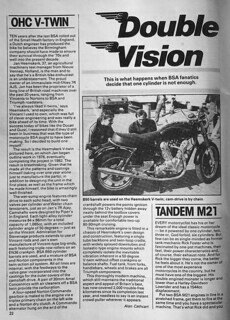 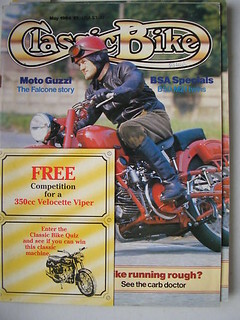 Apparently a real flier; Ian reckons doing 80mph down the road with no problem, with a lovely smooth power delivery..." Link: Vintagent on Verralls It is the other side of the bike shown on the Jap-Specials page. 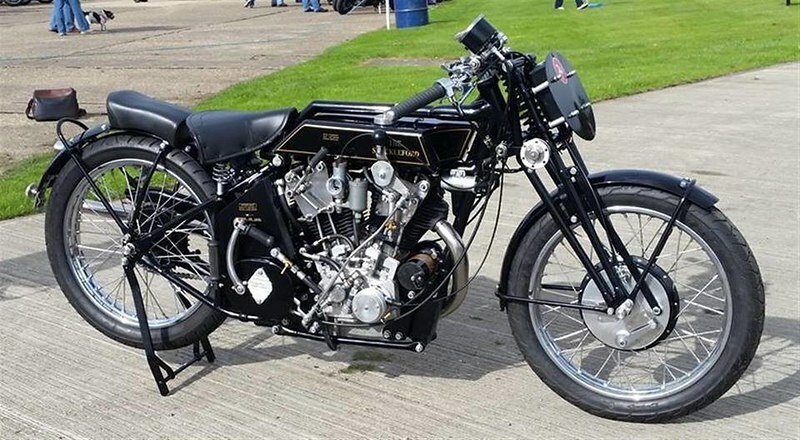 "B Shaman" made in Finland, from a "1929 BSA G29"
Another pic of this chunky DTZ -Norton special; Sam Lovegrove's Royal Enfield Special; BSA Y13 750 v-twin engine in Gold Star plunger frame, and BSA gearbox as fitted '48 to '53 Gold Star but turned 90 degrees. 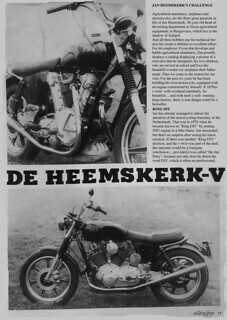 (see above for more info). 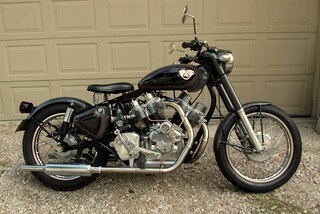 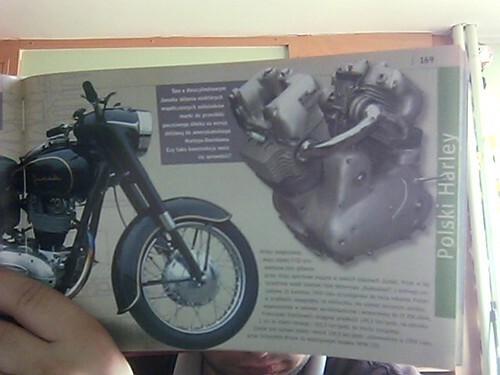 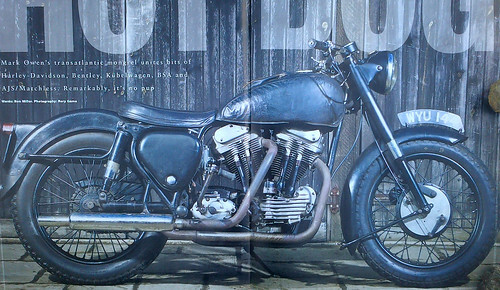 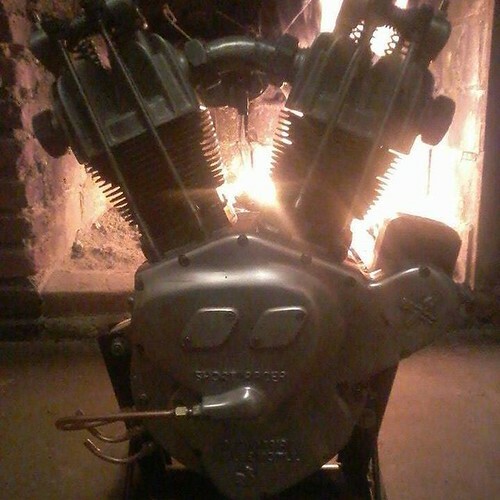 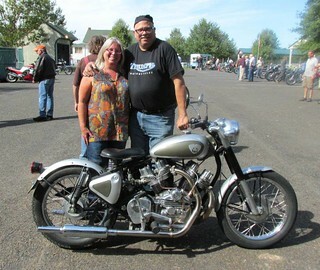 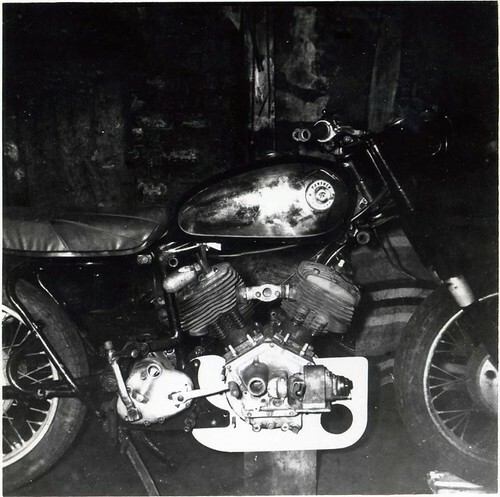 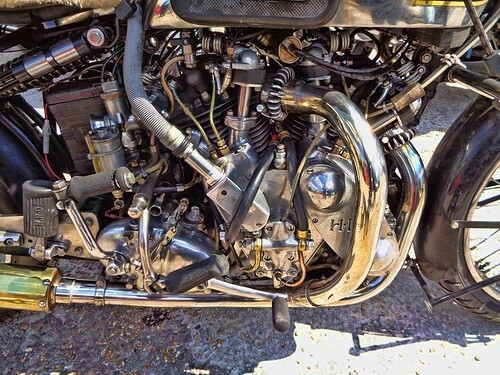 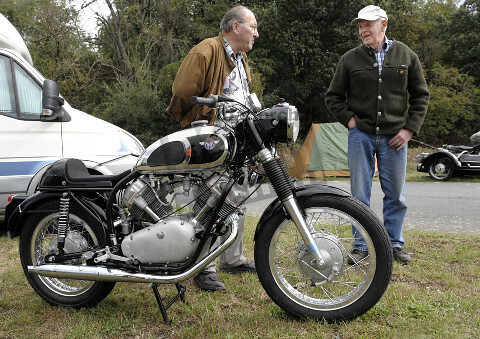 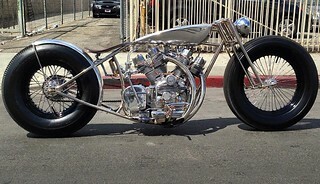 Remember Gustavo Salvador's v-twin "MAL 800" on the V-Twin Innovator News page 1? 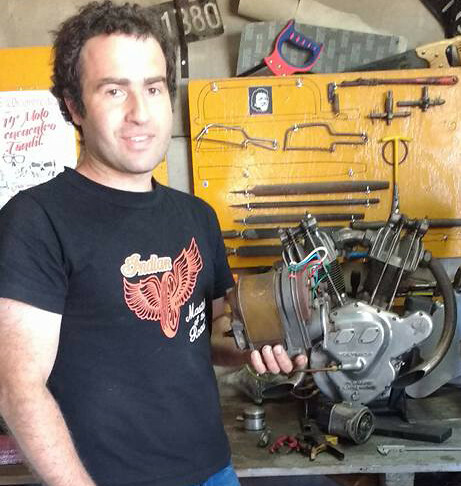 Gustavo lives in Argentina... 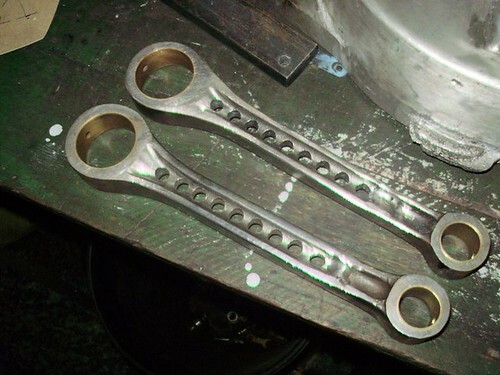 Since then, he has cast his own cylinder heads...which you can see on the bench...barrels from...? 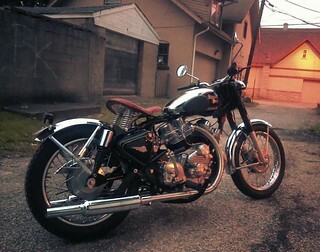 MAL 800 from Guido Riera on Vimeo. 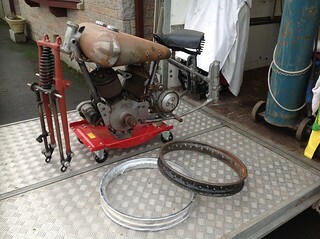 A JAP engine inserted into a Panther... and what's left of it today...belonging to" Ia Woo". 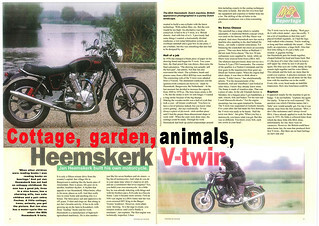 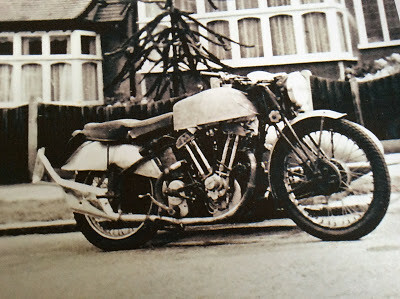 This is a replica of the Herbert Ammon bike shown on the first V-Twin Innovator News page, which is itself inspired by Alfred Petith's original.Variously either 700cc or 750cc, the 90-degree v-twin was presumably made by Herbert Ammon, and is formed of two modified 350 top ends - from a Horex Regina, with specially-made barrels, on a modified 1955 Horex Resident crankcase. 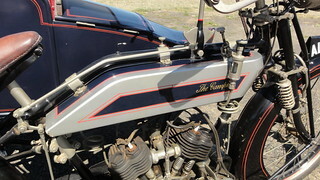 The seat, front wheel, shocks, rear-sets and exhaust system, as well as other details, set this apart from the one shown previously, which you can also see on the right, above. 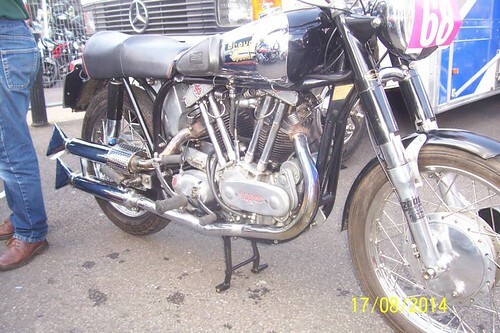 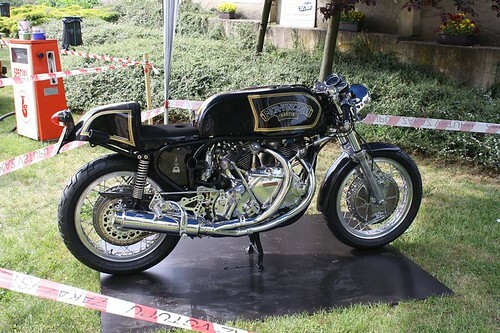 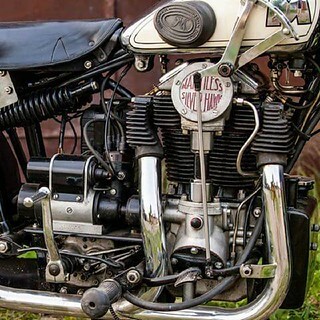 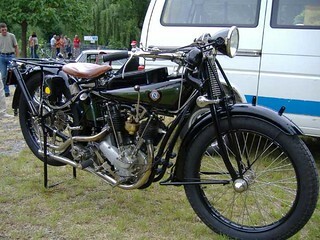 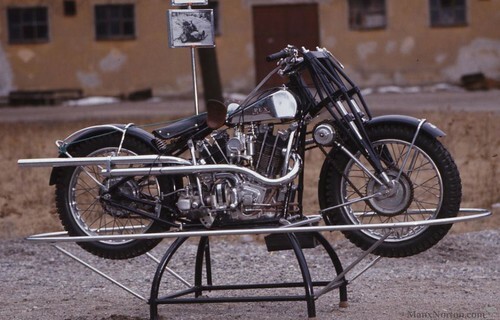 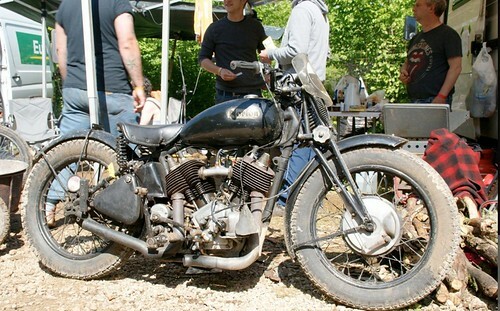 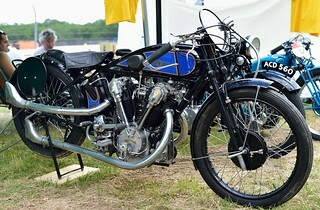 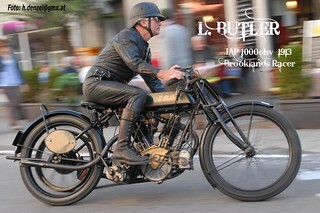 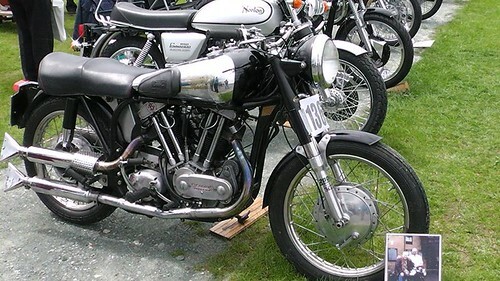 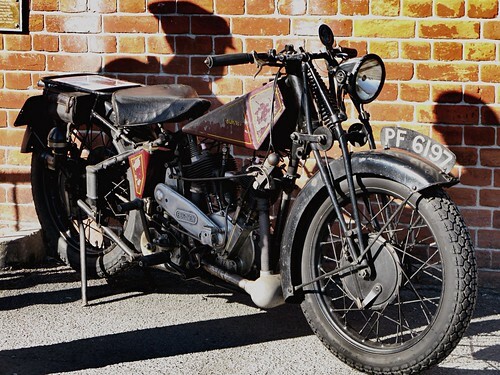 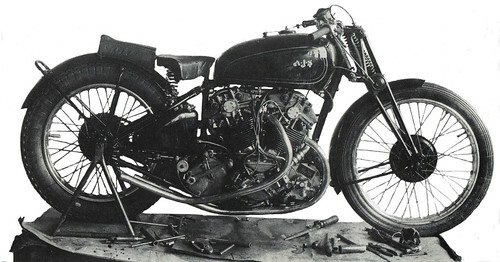 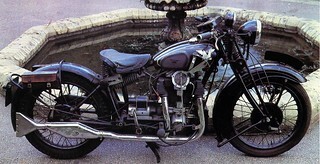 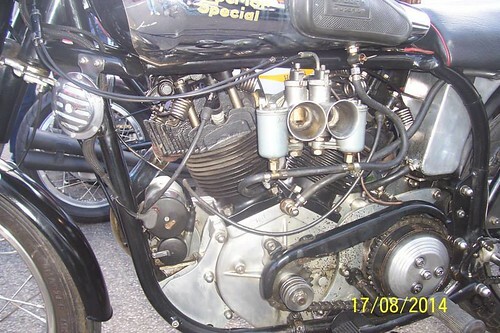 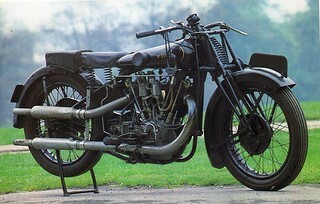 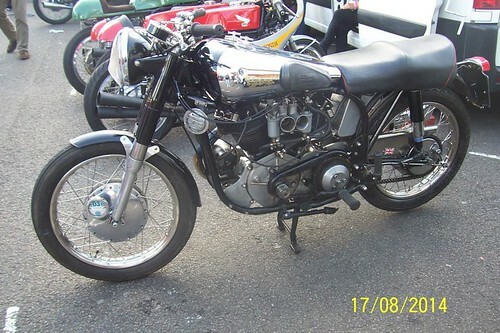 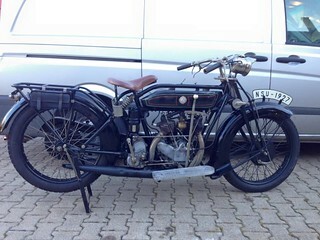 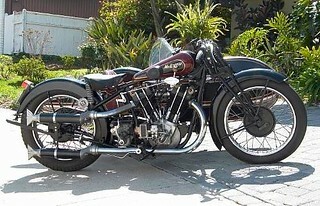 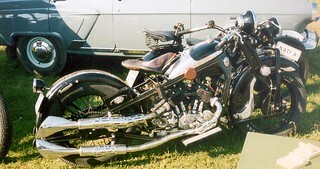 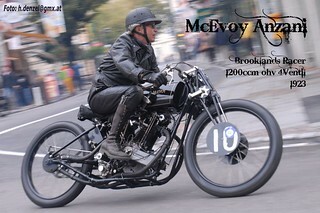 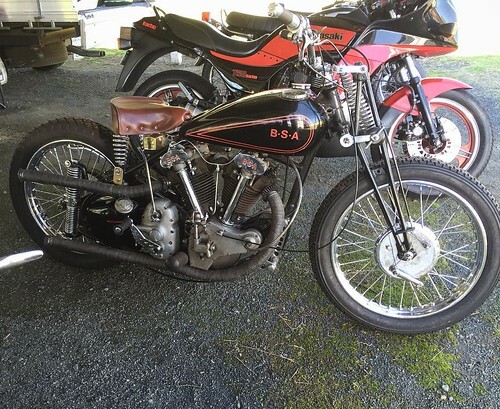 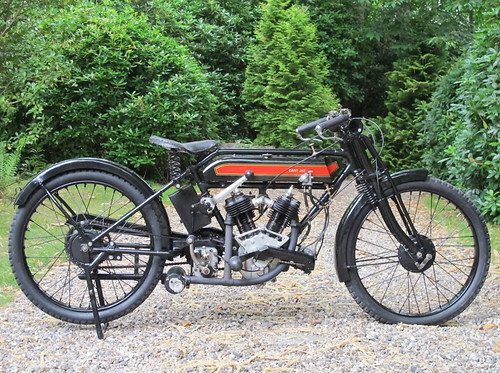 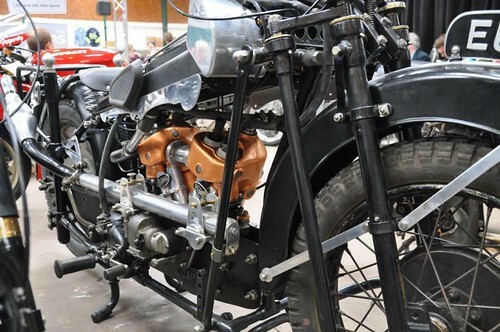 Another MX2-engined special: "Brough Superior Special"